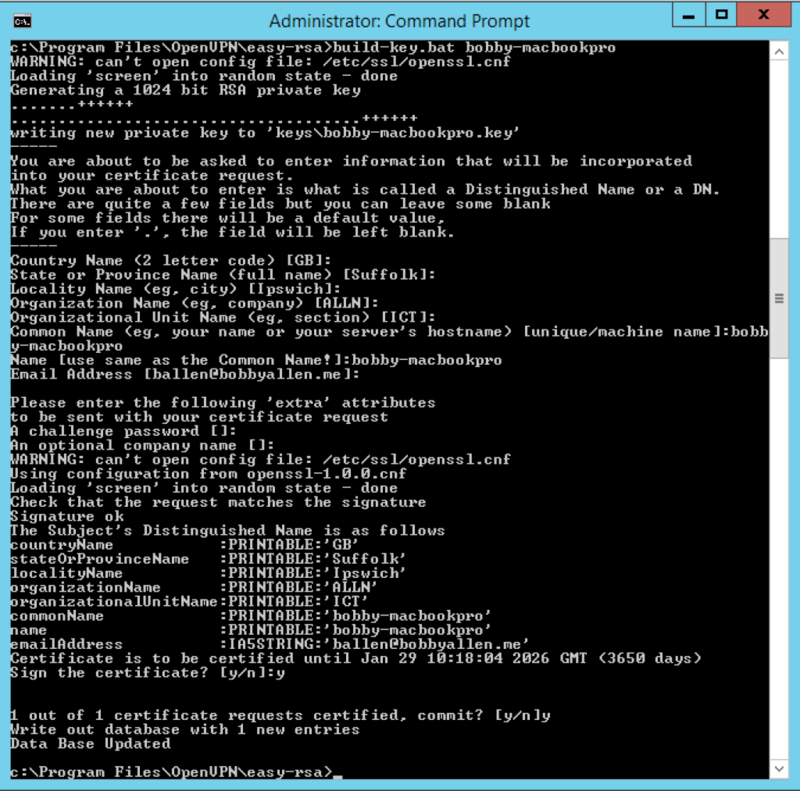 Setting up OpenVPN Server on Windows 2012 R2 – Life in apps, os's and code! This weekend a friend of mine asked my advice on setting up a VPN for his business to enable remote workers to connect and access the office’s file server and other internally hosted data. The requirements really consisted of a using Windows Server (ease of management) with the ability for MacOSX laptops to connect over a VPN to it. A couple of years ago, I had a similar setup that I used to connect to my home network using my own MacBook Pro but this time I thought I’d document it to help others. You can download both of these versions from my site if you wish! Once installed, this will enable the client machine (the MacOSX laptop) to connect to the VPN using a split tunnel configuration; using a split tunnel will ensure that only traffic that is destined for the VPN network will be routed over the VPN, your internet connection and other traffic will be routed locally of which will increase speed and performance – Again, this was another requirement, before doing this yourself please understand the security implications of such a setup. Installation is now complete, now click Finish and we’ll move on to configuring the server. 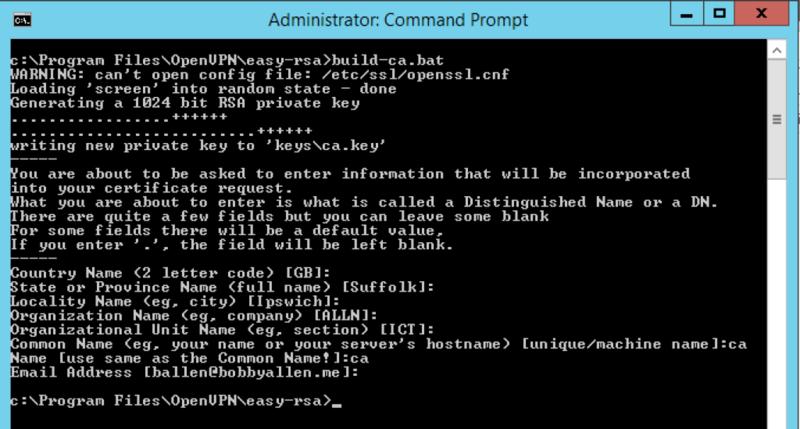 easy-rsa is a CLI utility to build and manage a PKI CA. In laymen’s terms, this means to create a root certificate authority, and request and sign certificates, including sub-CAs and certificate revokation lists (CRL). If you are interested, the source code, further information on the utility and the issue tracker can be found on it’s GitHub project page. set KEY_NAME=Use same as the Common Name! For the security paranoid amongst us, you may also look at increasing the value of the KEY_SIZE variable from 1024 to, for example 2048 but this will slow down TLS negotiation performance – your call really! When asked for input, you should be able to accept the defaults (as we set in the vars.bat file earlier but remember, we must specify a KEY_CN (Common Name) and when asked for the Name, it should match the Common Name. For each VPN client that connects to the VPN they will need to connect using an SSL certificate and therefore the following process must be ran for each client device that will connect to the VPN. 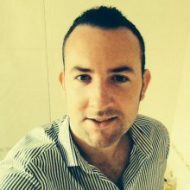 As a rule of thumb, you could generate and use an SSL certificate for each user that could be used on multiple machine but there should be a single SSL certificate generated for each device so that in the event that a laptop or other device is lost or stolen, the associated certificate can be revoked from the server to prevent unauthorised access to your network. To learn more about the Diffie Hellman protocol, check the Wikipedia article. Be aware: By default the OpenVPN service is set to start manually, therefore if your server reboots you will need to manually start this service before VPN clients can re-connect. If you want to set this to ‘Automatic’, right-click the service name, choose properties and then configure the startup as ‘Automatic’. 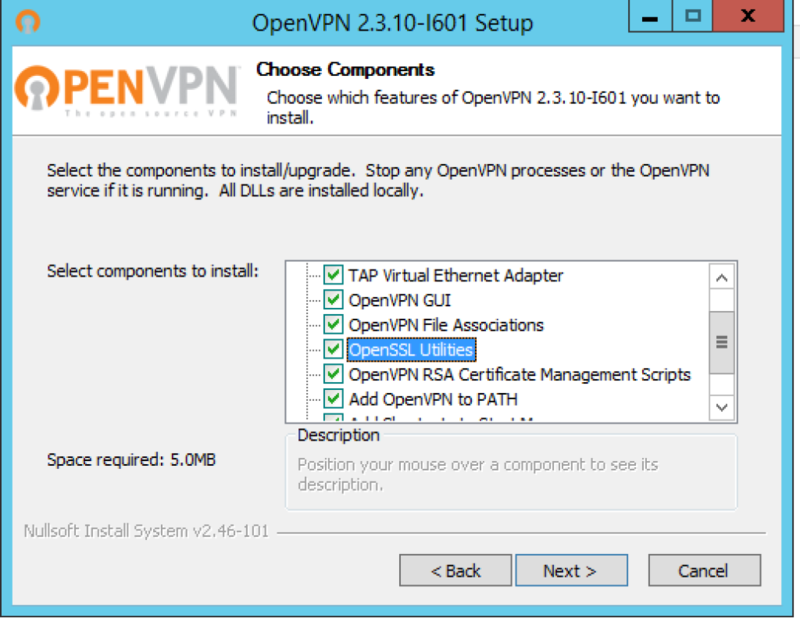 Now that we have the certificate and CA creation out of the way, we will now configure the OpenVPN server. copy "C:\Program Files\OpenVPN\sample-config\server.ovpn" "C:\Program Files\OpenVPN\config"
copy "C:\Program Files\OpenVPN\sample-config\client.ovpn" "C:\Program Files\OpenVPN\config"
We can now edit the “cloned” sample configuration files and of which, once fully configured to meet our preference we will then be used in our production environment. 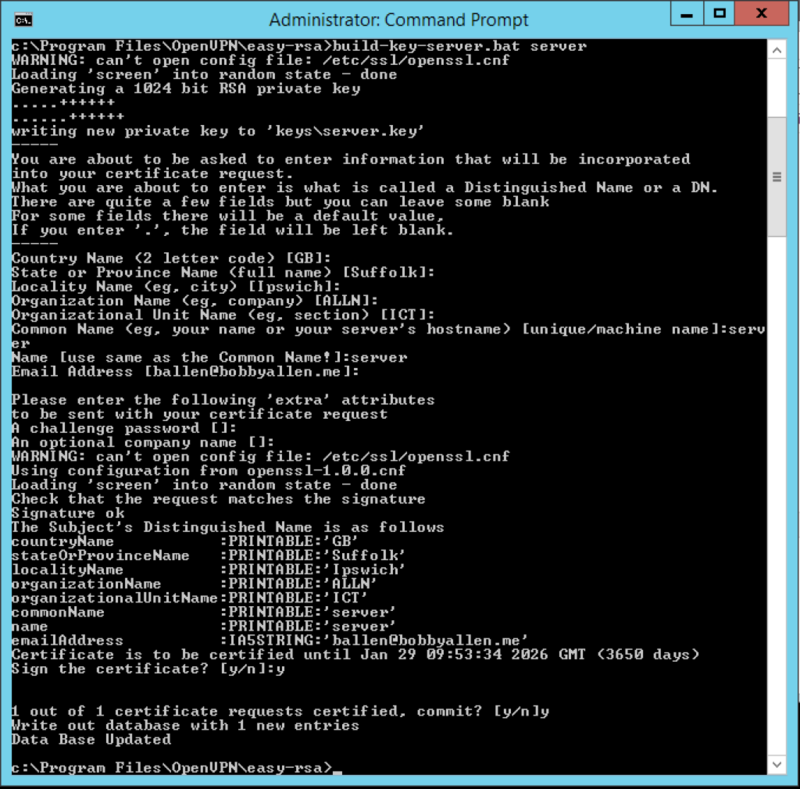 Save the file – Lets move on to configuring the Client configuration! Similar to the server configuration, we just need to edit the client configuration file and set the remote IP/hostname of our OpenVPN server. 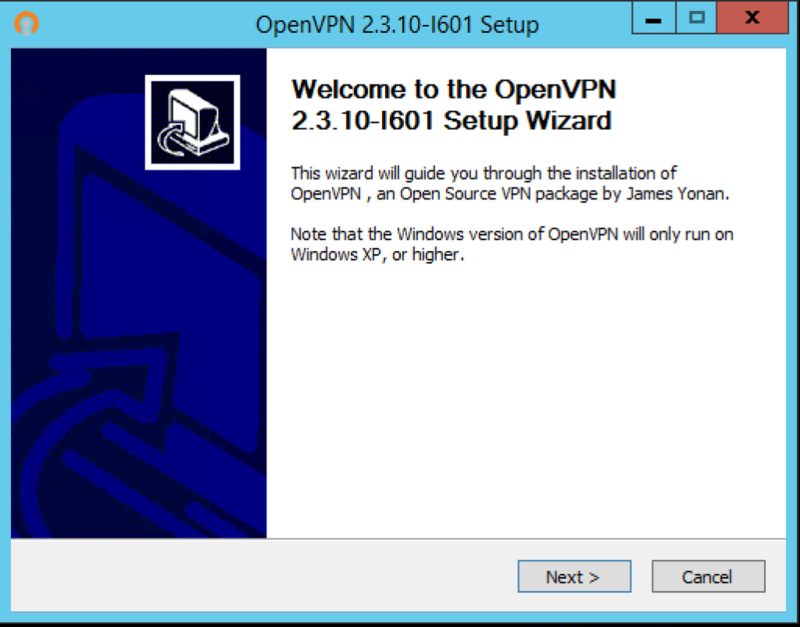 The Client OpenVPN configuration file is then used on the client machines to configure the OpenVPN client to connect to the remote VPN server. Be aware: If you edit this using NotePad on Windows the line endings will be formatted CLRF of which, will cause issues when trying to load it on the Mac, therefore it is recommended that you use a LF aware editor to edit it or convert the file using dos2unix when using it for the first time on your MacOSX/Linux machine. Save the file and we’re nearly ready to start testing!! We’re nearly ready to start testing but before we do, assuming you have a router/firewall between your server and the internet you will need to first of all open up port 1194/UDP (don’t forget to enable it on the Windows Server 2012 R2 software firewall too if you haven’t already!) and ensure that the traffic is forwarding to your server without this the VPN clients will not be able to connect and use the newly configured VPN service. From a “best practice” point of view it is advisable to change the default UDP port in your server and client configurations and ensure that the firewall/router is also updated too this makes it harder for hackers to identify which services are running on your server. 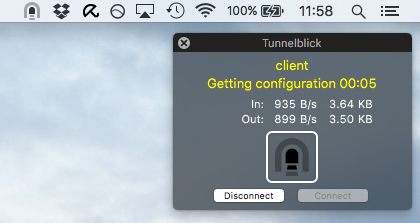 Now that we have the server and network configured we now need to install TunnelBlick on the MacOSX client device. First of all we need to create a directory in our home directory to store the client and CA certificates that we will copy from our server shortly. 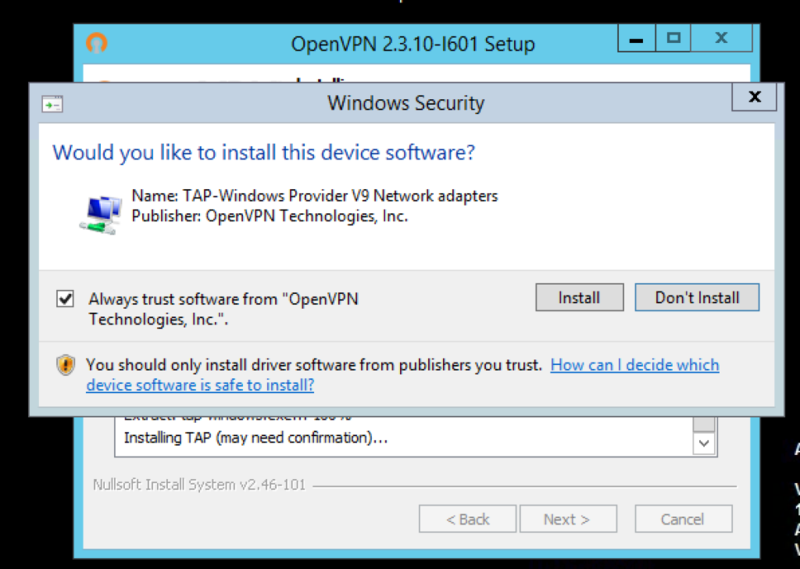 ca "/Users/ballen/OpenVPN Client Config/OpenVPN Config/ca.crt"
Save the file and close the text editor, we then need to install our new configuration by double-clicking the client.ovpn icon as shown in the above screenshot. In my next post (otherwise this post will be huge) I will cover the advanced configuration of the server to enable your VPN clients to “see” your internal network and your internal network to “see” your VPN clients this will bidirectional transfer of data eg. accessing network shares on the network and other services provided on the office network. 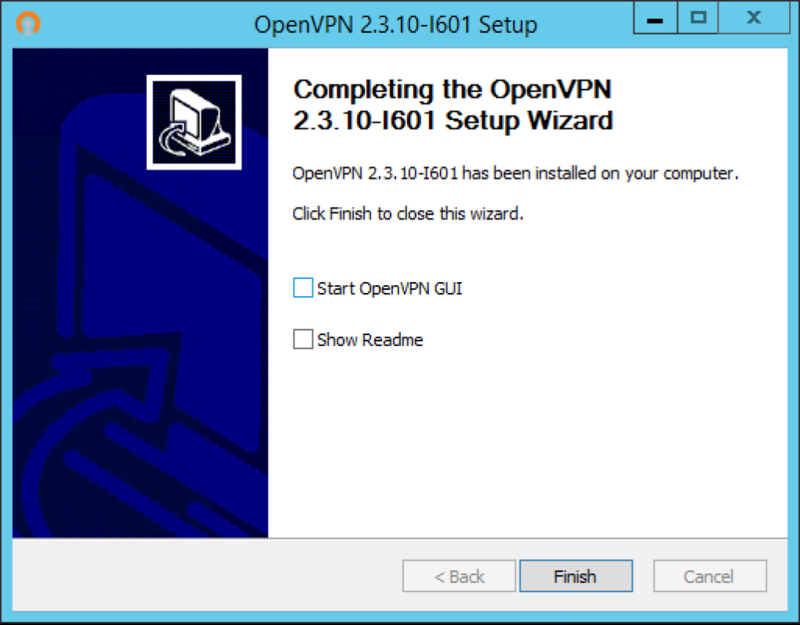 Pingback: Enabling OpenVPN clients to access to the LAN. – Life in apps, os's and code!